and we have two kits in the color green in time for spring and St. Patrick's Day. and our Varsity Collection is 50%! Roelein van den Berg created this lovely hybrid card. I love how she cut the ticket images from the patterned paper and stapled them onto the card. What a beautiful rosette and envelope too! 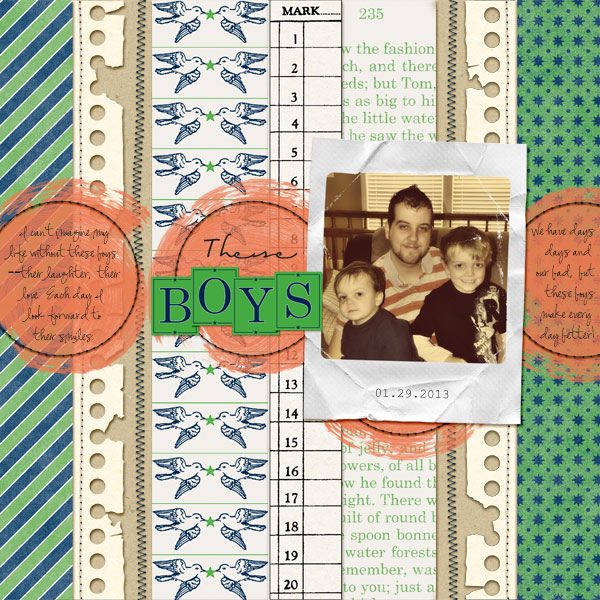 Amy Kingsford used the Varsity Collection papers in strips for this timeless design on her digital layout. Her title is a combination of a font and the Block Alphabet. Precious! This sale is good for the entire day, ending at midnight PT - so don't forget to pick something up!